Property Details: 3 Bedroom, 4 Bathroom beachfront condo with approx. 1,958 square feet. 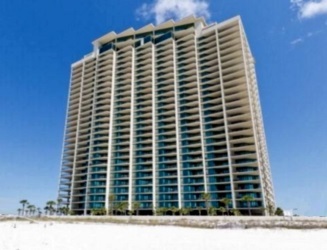 Orange Beach condo for sale at Phoenix West. Absolutely incredible three bedroom beachfront condominium home with exceptional gulf-front views of the sugar-white beaches of Alabama's Gulf Coast, residence is being sold fully furnished with complete kitchen set-up ,this resort property has a large climate controlled storage unit; the ideal turnkey, income producing real estate investment. Phoenix West condos in Orange Beach are located on the white, sandy beaches of Alabama's Gulf Coast; the community is among the nicest developments on the Gulf of Mexico, offering spacious, luxurious resort homes with an array of resort-style amenities, this community is a popular vacation destination. Also visit: Phoenix West II Condo Sales.